In a new report Friends of the Earth and the Andrew Lees Trust UK  show that offsetting is just a green makeover for more damage by mining and development schemes, especially in some of the world’s most fragile nature hotspots. 26,000 species face extinction including 41% of amphibians and 25% of mammals . Animal populations are on average half the size they were just 42 years ago . About two-thirds of the world’s natural ‘ecosystems’ are degraded and are being used in irresponsible, unsustainable ways  . Our reportNew Frontiers, New Tricks finds that efforts to green industrial mining with offsetting do not reduce the sector’s immediate environmental impact or mitigate its longer-term damage especially in biodiversity hotspots, such as Madagascar. Our report provides evidence that damage isn’t always being avoided; that the much-mentioned mitigation hierarchy isn’t always being adhered to; and that there is a paucity of evidence that the promised ‘Net Gains’ for nature and ecosystems are happening. 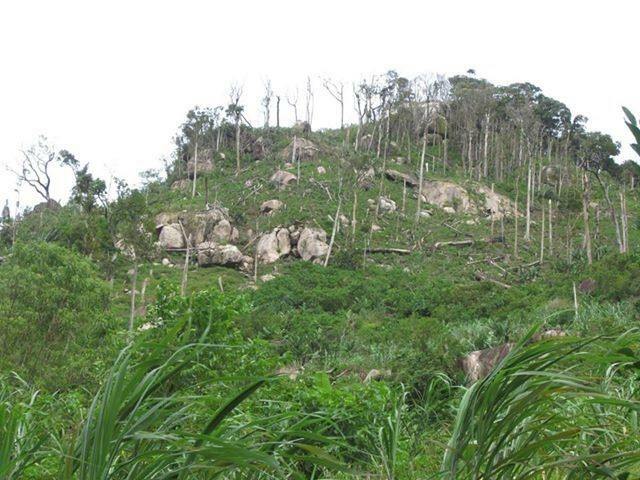 Yet the loss of unique flora and fauna, including nocturnal lemurs, is meant to be offset by a conservation programme which restricts use of forest resources by communities in other areas  some 50km to the north of the mine site at Bemangidy-Ivohibe in the Tsitongambarika Forest, and a second site even further away, 230km north at Mahabo. “We understand the importance of protecting the forest. But they should have started the projects to help us grow food before stopping us from using the forest. Otherwise we are left with no food and this is a problem.